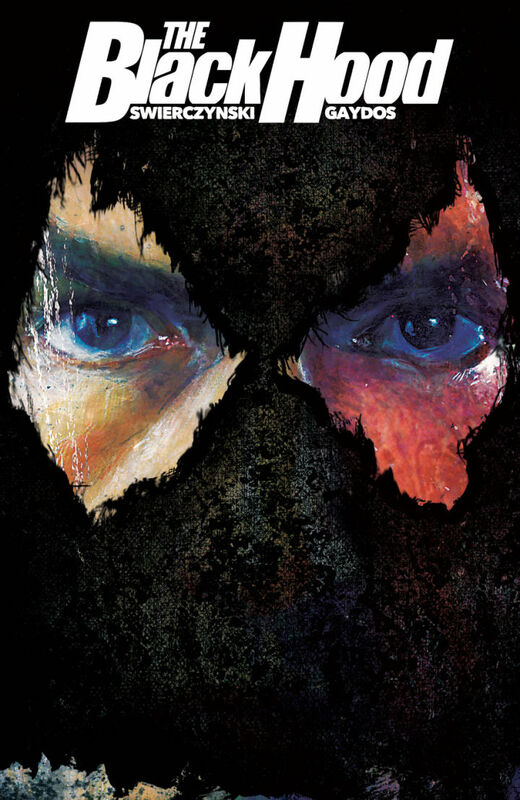 As far as comics properties go, the Black Hood like the rest of Archie Comics’ storied Red Circle heroes, has had a long and complicated history, with just as many downs as ups. Riding a wave of popular and critical acclaim, thanks to surprise hits such as Afterlife With Archie and The New Crusaders, the publisher of the misadventures of America’s favorite teen embarks on a fresh creative journey, breathing new life into its rich superhero catalogue. In the case of The Black Hood, this means going back to basics and embracing the character’s roots as a gun-toting pulp hero, who dons a mask each night to right the wrongs he can’t fix during the day as a dedicated police officer. 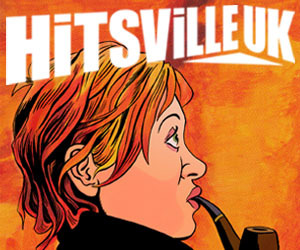 Perhaps taking a page from other publishers Valiant Entertainment and Dark Horse Comics, who have tapped top talent to rejuvenate their languishing superhero properties in recent years, the editorial team at Archie have turned to two of the best creators of crime fiction in Duane Swierczynski and Michael Gaydos to inject a more hard-boiled modern sensibility into their first offering under the Dark Circle banner. As Marvel and DC march towards secret convergence wars and the like, in an effort to streamline their catalogues and make their heroes more palatable to modern audiences and production studios, Dark Circle represents a very real alternative to the blockbuster mentality of the Big Two, by focusing on story and craft over spectacle. Nothing epitomizes this more than Swierczynski and Gaydos’ take on this classic hero. If you think you know the Black Hood, think again. Missing this book would be criminal! 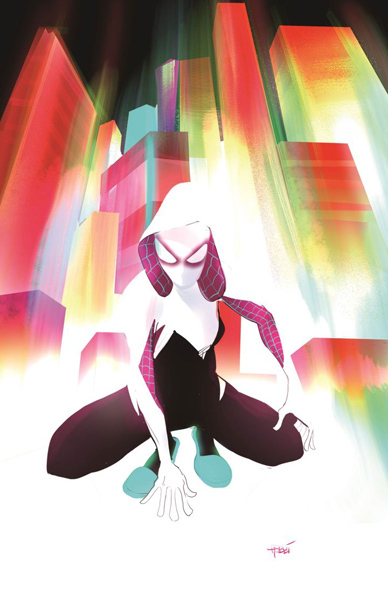 No, the hero in this story doesn’t actually call herself Spider-Gwen. That would expose her identity and what would be the point of wearing the mask and hood that’s part of the super cool, new costume design by artist Robbi Rodriguez? But get used to things being just a little bit different from what you’d expect in this spin-off storyline that takes place outside of the regular Marvel continuity. Gwen Stacy was bitten by a radioactive spider instead of Peter Parker and she’s the one to take on the role of Spider-Woman! Back in her own universe after the events of the Edge of Spider-Verse crossover, Gwen has to deal with the repercussions of revealing her identity to her father, Captain Stacy, who just so happens to be in charge of the police task force designated with bringing Spider-Woman to justice. Meanwhile, Gwen must balance school responsibilities with her commitment to the band she’s part of with Mary Jane and Betty Brant. And if that’s not enough, there’s a host of new villains and a certain self-absorbed journalist all gunning to take her down. 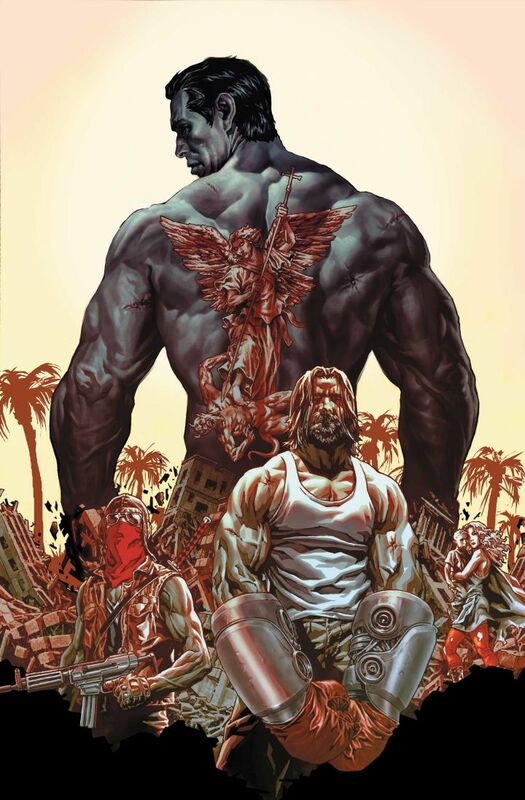 If Gladiator’s Russell Crowe and The Hunger Games’ Jennifer Lawrence had a baby boy in a post-apocalyptic Los Angeles, chances are he’d be the top draw in the arena of Lee Bermejo’s Suiciders. A long time coming – the book was originally announced to be released a year ago, Suiciders is the first full ongoing series of the artist whose last jaw-dropping project was Batman: Noël. Set 30 years after Los Angeles (now called New Angeles) has been ripped apart by a devastating earthquake, Suiciders focuses on the public and private lives of a number of star fighters who’re taking part in ‘the Suicide Games’. Much like their ancient Roman forefathers, these warriors combat for their very lives; the big difference being that they’re clad in heavy body armor and are doped up on superheroic stimulants. Bermejo promises this story is not all muscle and brawls – expect a heavy dose of intimate ‘character’ moments, mystery and noir between the blood-soaked panels. Guy Colwell might not be one of the best-known names of the underground comix era, but he was a creator who walked the walk and talked the talk. After spending two eye-opening years in a federal penitentiary for refusing the draft, he returned to the Bay Area and began work for the San Francisco Good Times underground newspaper. To record those turbulent times, he also published Inner City Romance – a comic that opened up readers to prison, black culture, ghetto life and radical activism with a rich tang of authenticity. It portrayed the unpleasant realities of life in the inner city, where opportunities were limited and being on the lowest end of the economic ladder meant that one’s vision of the American dream was more about survival than lifestyle choices. This collection includes all five of the issues Colwell published between 1972 and 1979, as well as many of the paintings he completed around the same time. In an accompanying text piece, Colwell also recounts his personal journey to artistic maturity. Meredith McClaren’s industrial fantasy is a pitch-perfect example of how to incorporate familiar influences into something fresh. 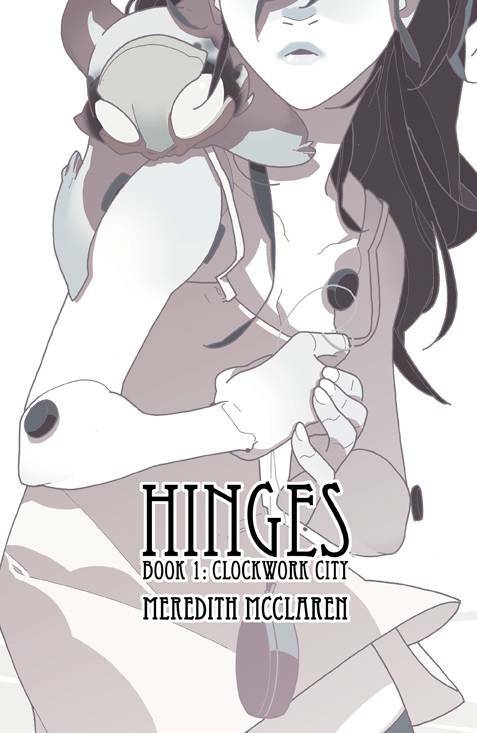 This first volume starts with young Orio’s entrance into the city of Cobble, populated by a varied group of walking and talking toys – from animated stuffed animals to puppets who walk along nonchalantly with strings attached. The Image publication of the series, originally serialized online, is worth it just for the chance to see McClaren’s gorgeous full-color art in print, a modern fusion placing manga-inspired characters against richly rendered backgrounds. The good news when you finish is that McClaren recently completed the second book online at hingescomic.blogspot.com. It’s Christmas in Radiant City but as with all things in the town that never sleeps, that doesn’t necessarily mean peace on earth and good will to all men. This week, Dean Motter and Dark Horse Comics return to the ever-shifting streets of the city known as Somnopolis for another retrofuturistic crime noir thriller. As one of the most compelling and original settings in comics, I never miss a chance to return to Motter’s Radiant City, where architecture and psychology collide in a stylish, harrowing fusion that ultimately unearths the corruption and depravity of the very people who call it home. Engaged in a desperate struggle to repair the psychological and mechanical machinery of the city he helped create, Mister X hopes to find the path to his own redemption. 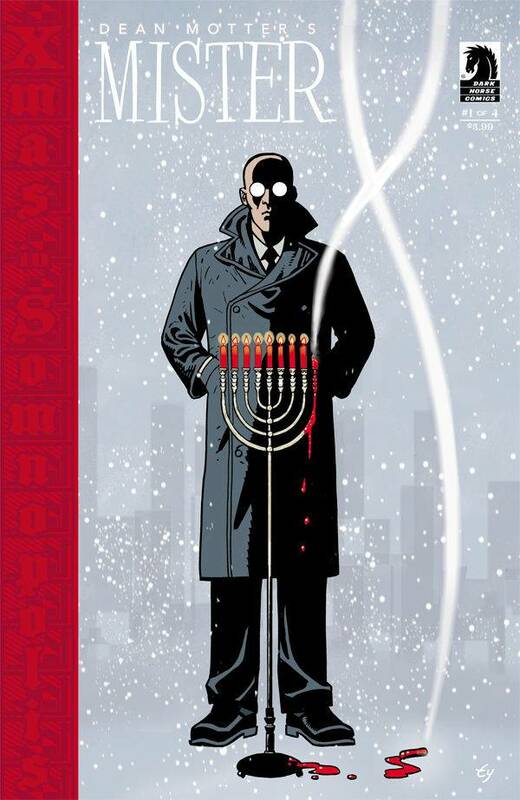 A modern classic of the form that continues to inspire and engage critics, readers, and fellow creators with its vision and craft, Motter’s Mister X remains a relevant commentary on the medium that gave it life. 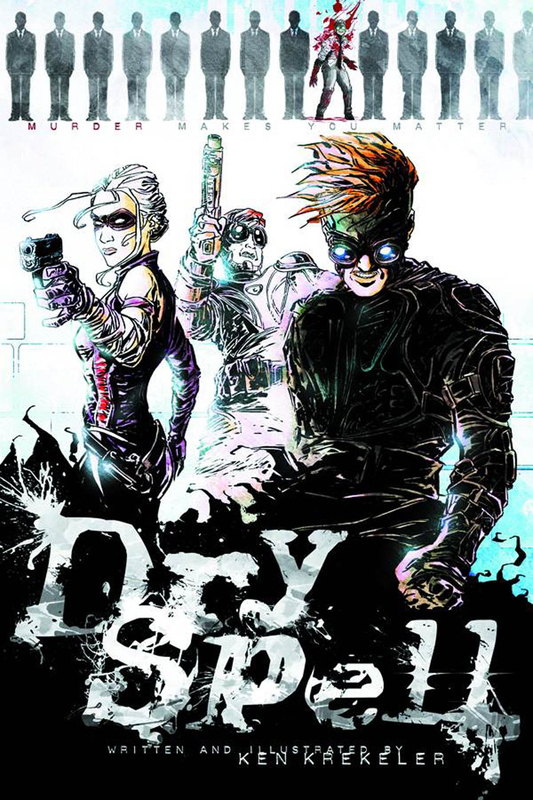 Previously self-published, Ken Krekeler’s nightmare supervillain series Dry Spell gets a second chance at life from publisher Danger Zone. I don’t normally write Staff Picks for superheroes but Krekeler manages to outclass Ed Brubakers’ Incognito to the Nth degree so I had to praise its laurels hard time. Dry Spell is the story of Tom Ferris, a forgotten button-down man in a world of super-heroes. Each night, he lies awake, wishing to be the villain he was. Today, Tom gets his wish. And the world will never forget him again! … and neither will the reader. Dry Spell is storytelling from the guts, its visuals are as dirty and nasty as its dialogue and in the end, you don’t know whether you should root for the protagonist or feel sorry for him (and all the people he killed along the way). Highly recommended if you want a quality dose of non-mainstream superhero material. Issue #13 begins the final story arc for the Eisner Award–winning creative duo of Mark Waid and Chris Samnee. They have brought Matt Murdock through a series of difficult times, and rest assured that they intend to go out with a bang. After years of carefully guarding his secret identity, Matt Murdock has come clean to the world that his is Daredevil. In order to protect Foggy Nelson, Matt faked his death. They moved across the country to San Francisco and Matt set up a new law practice with his girlfriend, Kirsten McDuffie. Foggy is busy ghostwriting a biography of Matt’s life as Daredevil for Kirsten’s father, a wealthy publisher, while dispensing relationship advice we know Matt will likely ignore. Matt is questioning the wisdom of his recent decisions given his dismal and dangerous past with girlfriends. 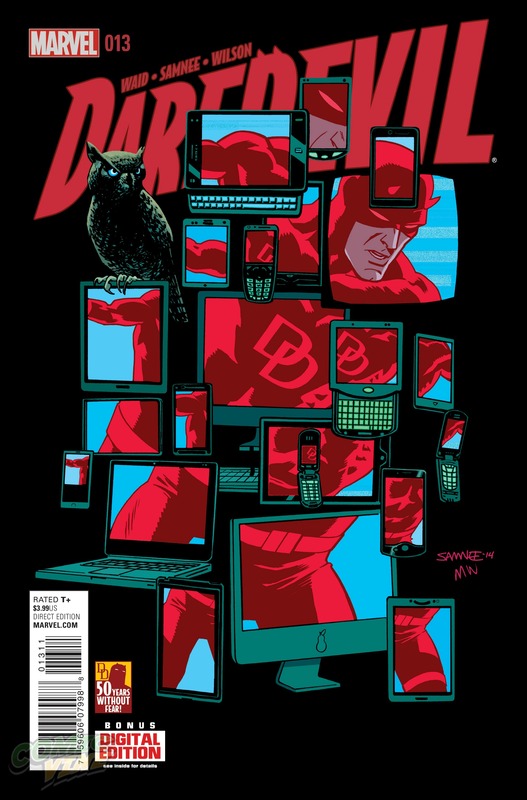 But the time for personal reflection is drawing to a close as Waid and Samnee are unleashing one of Daredevil’s oldest enemies. The key to success when writing Daredevil is to have a compelling conundrum challenging Matt Murdock, and the stellar work of this creative team should serve as a roadmap for future work with Hell’s Kitchen’s favorite son. Solitary, majestic, lonely and altogether awe-inspiring, a single tiger stalks his domain in a regal journey of beauty and brutality… wonder and survival. The king of the jungle, the silent tiger is a mighty beast, but he must protect his territory from would-be usurpers – all the while seeking his prey. 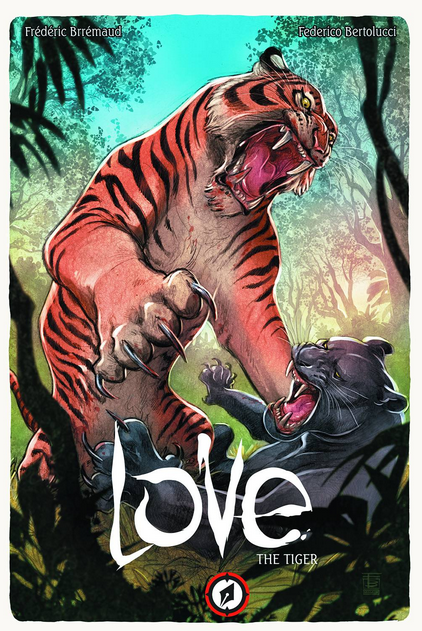 Violent battles, lush and elegant scenes and the effort poured in by illustrator Federico Bertolucci make this unique book a labour of love from its creators. The graphic novel is entirely wordless, telling its primal story through the lavish images alone. 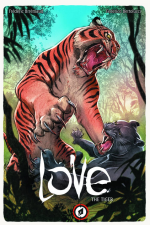 It’s a timeless tale of survival of the fittest, showing one day in the life of the Tiger, a force of nature following the rules set down by the jungle, and his own irresistible instinct to hunt and fight. If The Lion King was re-written to be accurate to natural behavior and struggles, then laid down on sheets of paper in vibrant full-page illustration… that would be this book.